In other realms, Roth’s logic – that political boundaries must be subservient to larger questions of justice, including segregation – is taken for granted. Think, for example, about Congressional districts. To start with, they’re redrawn every ten years to adjust to shifting populations. Not only that, but there are lots of rules designed to make sure the new districts aren’t unfair in ways that violate anyone’s civil rights. If they are, they can be thrown out by a judge, and ordered to be redrawn. We go through all of this because we understand that unfair Congressional districts can be devastating for minority communities, denying them political power and, along with it, the ability to fight for policies that improve their lives. School districts, of course, play just as large a role in determining their residents’ life chances, but share basically none of these rules. 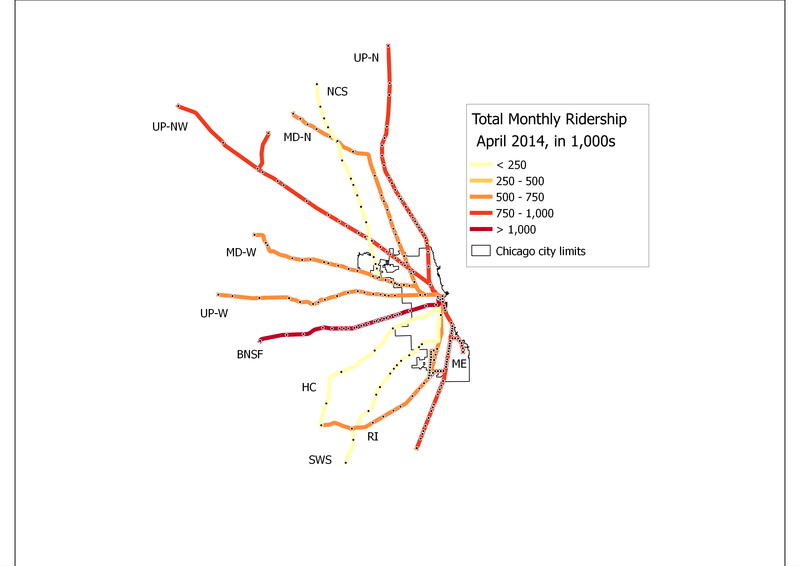 A coordinated effort between Metra, Chicago, and the suburbs to increase service and encourage development around walkable stations that serve relatively high population density could go a long way to improving access to jobs and amenities via transit for hundreds of thousands of people — and at a fraction of the cost of new rail construction. At its most ambitious, that might look like the long-sought conversion of the Metra Electric line to true rapid transit — promoted most recently by the Transit Future campaign. But short of that, Metra could take a page from our sister city to the north, Toronto, whose commuter rail agency recently announced it would increase all-day frequency to every 30 minutes, making off-peak trips there much more convenient.